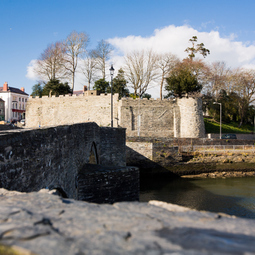 Discover Cardigan, its Castle and the people who lived here, with fascinating permanent and temporary exhibitions. Our range of multimedia exhibitions will show you another side to Cardigan and its castle. 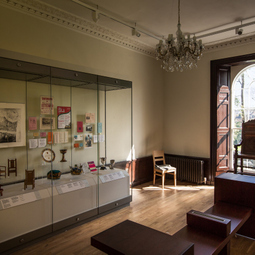 The world’s first permanent Eisteddfod exhibition; a Hollywood narrator; and some fascinating storytelling - in our permanent and temporary exhibitions, located inside Castle Green House. The Cardigan Castle Story - The fascinating story of Cardigan Castle from its origins to the present day, narrated by acclaimed Welsh actor, Matthew Rhys. The Eisteddfod Exhibition - The first permanent exhibition on the story of the Eisteddfod anywhere in the world, it tells the story of the National, International and local Eisteddfod through words, images, poetry and music. 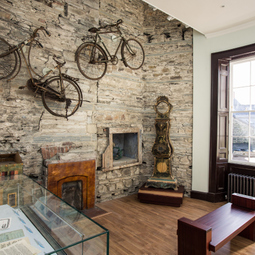 The Barbara Wood Exhibition - Discover the remarkable story of the last private owner of Cardigan Castle and including some of the artefacts she left behind. 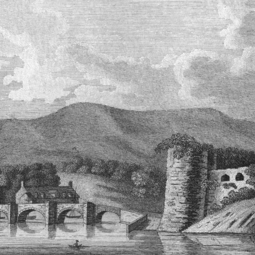 The Story of Cardigan - The Story of Cardigan explores the town’s colourful and surprising history, and includes many never seen before artefacts from Cardigan's commercial and social history. There are also interpretation panels and displays relating to the residents of Castle Green House; World War II and the Restoration, as well as two temporary display rooms and an auditorium for presentations and lectures on the first floor.